Award Wining Actress, Model & Musician THE FOLAKE! 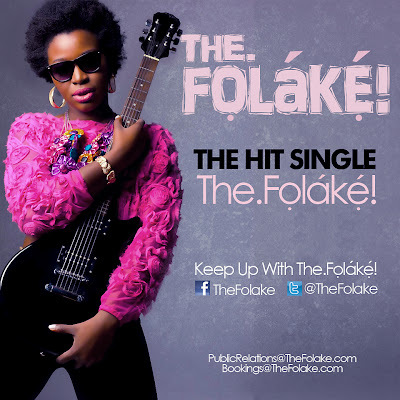 Unveils Self-titled debut Single, “THE.FOLAKE! Introducing Award-winning actress, model, producer, musician and self-taught guitarist THE.FOLAKE! 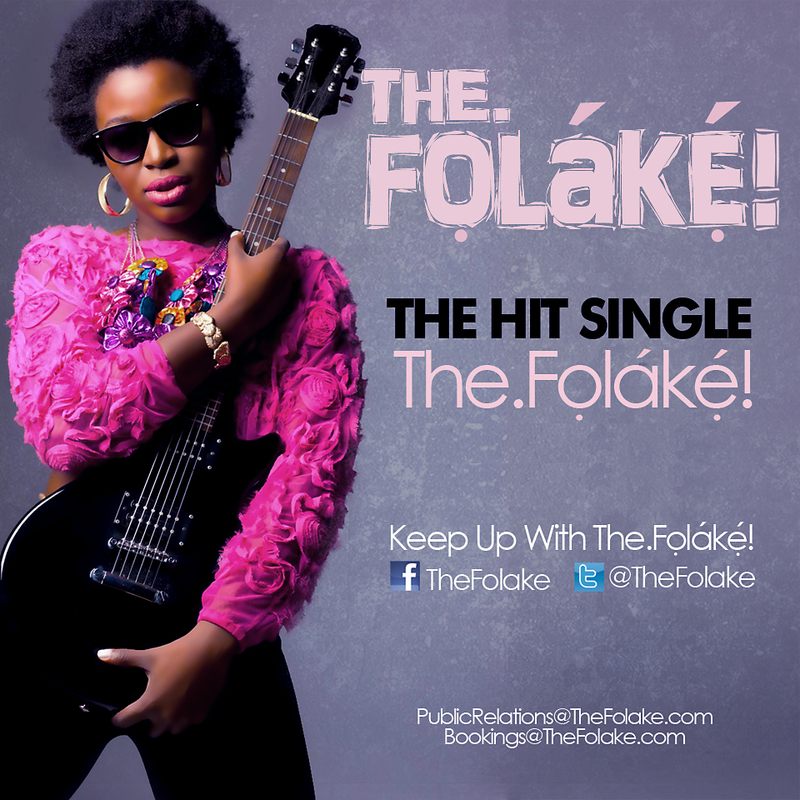 with her self-titled debut single titled “The.Folake!”. Excellently produced by DatBeat and showcasing The.Folake’svery unique style and versatile talent, the M.I.A-influenced Afrobeats tune – with Afro-Rock and Electro-House infusions – is more than poised to not only set many clubs and dance floors alight this Spring and further into 2012 but also to position The.Folake! as an innovative and electrifying new African artist for the future. Taking a break from appearing on such popular TV shows as Law and Order and 30-Rock, The.Folake! has been locked away in the studio crafting a new and unique Afrobeats sound that is miles apart from anything you have ever heard from an African artist. The excellent new single “The.Folake” is the first evidence of this brand new exciting and progressive sound and now, with its official release, The.Folake! is set to take the music industry by storm and capture its audiences all over the continent in 2012. Olowofoyeku – always dreamt of delving into the arts as a musician but her now late parents however insisted on her becoming a lawyer. With the opportunity to move to New York City to study, Folake left Nigeria and while in NYC, focused her artistic endeavours on a BA (Hon) in Theatre and a Diploma in Audio Engineering. With a brief career competing in the NCAA league for her College’s Basketball team, Folake began her career as a versatile actress. She earned a Best Actress Award for her lead role in When They Could Fly at the prestigious ReelHeART International Film Festival in Toronto, Canada and over the years, her acting career has flourished, from numerous stage productions to Film and Television, leading to her role in the Jodi Foster-directed The Beaver. Folake proceeded to make several appearances on the Law and Order franchise, 30-Rock and White Collar. Her voice has been utilized for voice-over campaigns with The Bill & Melinda Gates foundation, The Coca-Cola Company, Money Gram and Emirates Airline and her latest film – a 3D horror/comedy film – titled Hellbenders is due to be released in US Theatres in March 2012. With a strong foot in the acting world, Folake changed the course of her career to pursue wholeheartedly her passion for Music. Musically inspired by Michael Jackson, M.I.A, Slash and Fela Kuti, The.Folake! is creating music that induces a party atmosphere and creates a voice to the realities faced day to day in Nigeria. The.Folake! describes her genre as Afro-Rock/Electro-House – fusion of her musical influences, combined with her own natural musical style.